Jim Rodda, a 3D printing hobbyist of the Zheng3 community, is doing a Kickstarter project for 3D printed medieval armor for the Fashionista line of Barbie dolls. 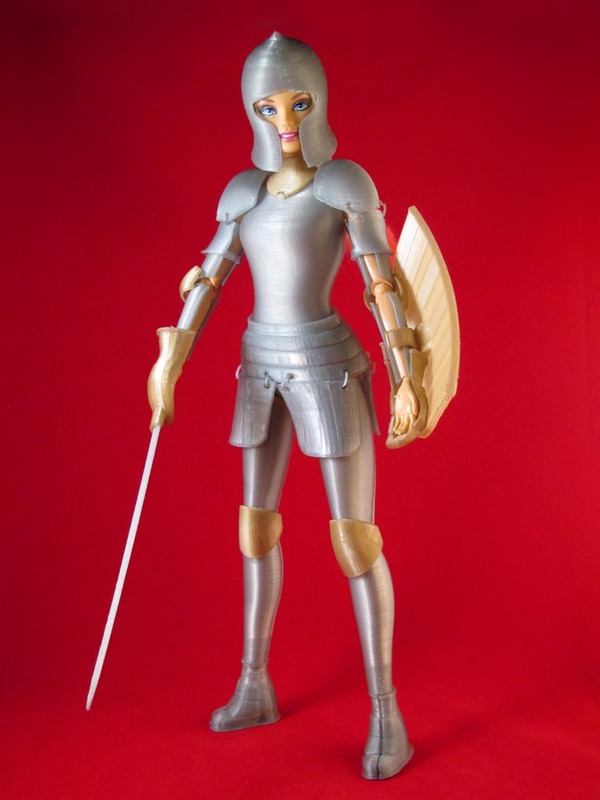 The Kickstarter project is called Faire Play: Barbie-Compatible 3D Printed Medieval Armor. The armor is open-source and Rodda would like funding for the design and production of the next prototype armor. Rodda’s inspiration for the project was to create a unique birthday present for his 4-year-old niece. He photographed the Fashionista Barbie doll and then used the photos as reference points to create the Barbie armor model in Maya, a 3D modeling software program. The armor was printed on a MakerBot Replicator 1 3D printer. The armor will be under a Creative Commons License so that users can share or remix the model provided that Zheng3 is credited for the original design. Users can also download a copy of the Athena Makeover Kit, which includes a spear, shield, and winged boots.